Geometric necklace collar with wooden hexagon pendant. 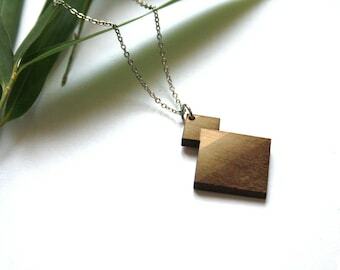 Chic minimalist modern contemporary jewellery. Perfect for a woman gift. 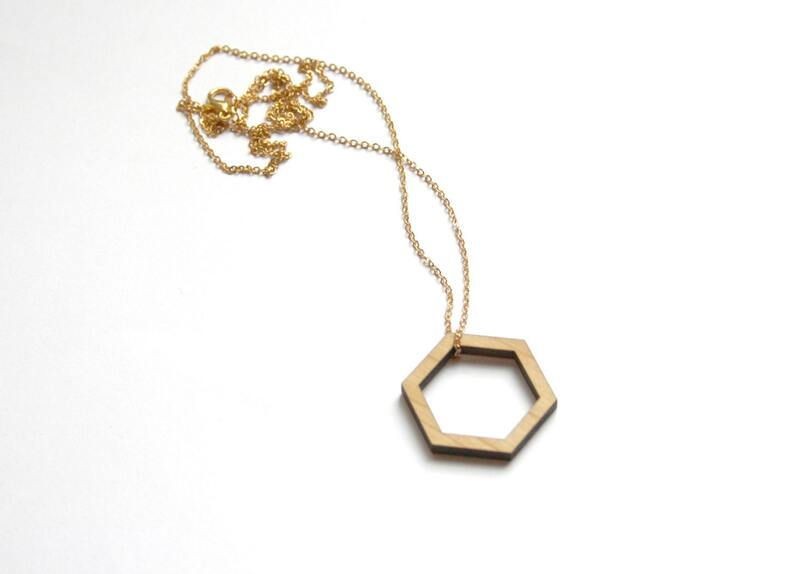 ▲ The hexagon shape is made by laser cut. Design and hand-made in France, Paris. ▲▲▲ Geometric Style / minimalistic / chic style. Hexagon size: 3.2 cm = 1.18 inches (diameter). Metal chain, gold color in brass: 70 cm = 27,59 inches (around). ▲▲▲ Similar products are available in my shop. 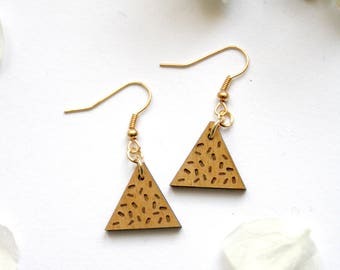 Earrings of similar style are available in my shop. J'aurais mis 5 étoiles si la chaîne avait été différente. Article conforme à la description. Bonne longueur, je l'adore. Seul hic, la chaîne noirci.